Mapleton Utah Bank Foreclosure Homes for Sale; Search Homes for Sale in Mapleton Utah. Our search offers the best online, live search engine in Utah County. The search has listings of all Mapleton Homes, condos, and townhomes for sale. When you subscribe to our Buyer's Club you will receive daily emails of every new listing and price change within your search criteria. You will have free unlimited access to every home listed for sale in Utah County. 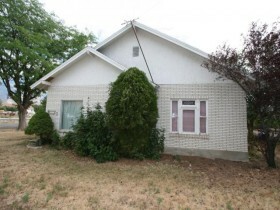 Find Mapleton Utah Bank Foreclosure Homes. When you use our search you can save favorites, rank the one's you like, and make notes. If you have questions about the Homes you have seen, Team Teasdale Realty will be able to view your list with you. This makes exchanging information fast and simple. Buyers love that our search points out which Homes are Mapleton Utah Bank Foreclosure Homes and which ones are Short Sales in Mapleton. You will be able to find the Fannie Mae and Freddie Mac Bank Foreclosures and HUD Homes on the first day they come for sale. Be the first to know when a great deal has arrived. 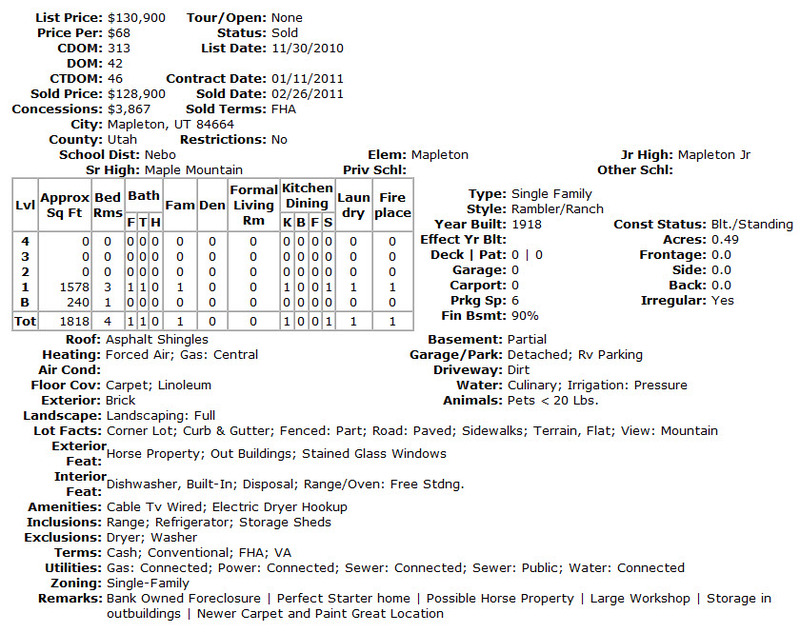 What is Your Mapleton Utah Home Worth? CMA stands for Comparative Market Analysis. Team Teasdale Realty provides a local service to help you determine the value of your Mapleton Real Estate home prior to selling it. Here you can learn about how your home's value is determined, and how others perceive value in a property. You can also ask for a market analysis of your condo or home. Learn about your options for selling your Mapleton home - do you want to "list" the home on the Wasatch Multiple Listing Service? Do you want to sell it by yourself FSBO? (for sale by owner). Team Teasdale Realty is located in Mapleton, Utah. Paul Teasdale is the Principal Broker and has been selling homes in Mapleton, Utah since 1995. Paul and most of his team live in Mapleton. The members of Team Teasdale Realty are very familiar with the neighborhoods, schools and community in Mapelton. You will enjoy working with a team of Realtors that are available to show you homes in Mapelton at a moments notice. Our team of Realtors is a full service residential brokerage serving the Mapleton, Springville, Spanish Fork, Utah County area. We can list your home, find you a home, or help you analyze and purchase small residential investment properties such as duplexes, triplexes, fourplexes, and single family rental or rehab investment homes. Contact us today for a CMA, or a rental property financial feasibility analysis. Tell us about your dream home in Mapleton, Utah. Hire a Mapleton, Utah Realtor. Mapleton Utah Home is worth?